Is your Apple keyboard looking a little sticky these days? Does your screen have more spots than you feel comfortable with? Then it’s time for a cleaning session. 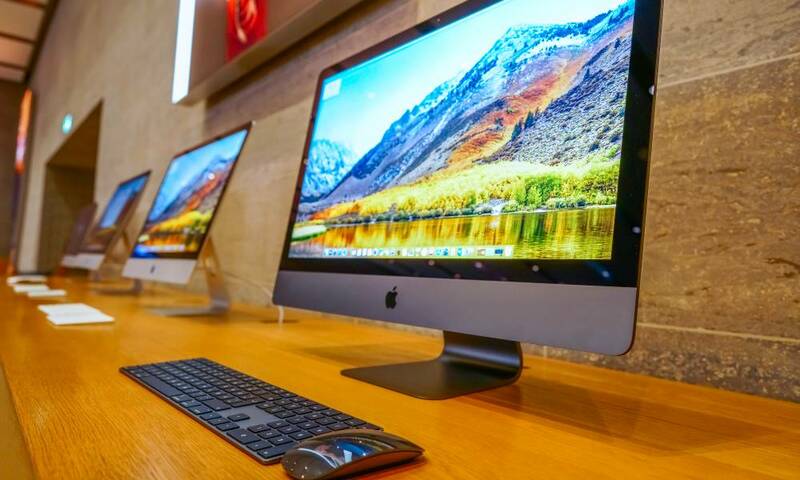 Apple products aren’t exactly like other types of keyboards or displays, so not all of the same cleaning rules apply. Before you start, let’s walk through the best ways to clean up your keyboard and display, and what you should avoid. Unplug your keyboard first for safety – in fact, it’s a good idea if you take your keyboard away from your desk entirely so you won’t bump or damage your other accessories by accident. If you use one of Apple’s wireless keyboards, remember to remove the batteries first and set them aside before you begin. Turn your keyboard upside over the trash and give it a light shake to remove any obvious bits of debris. It may seem counter-intuitive, but you shouldn’t use any cleaners on your Apple keyboard. Likewise, stay away from solvents, acids, and basically any chemicals. Don’t use any cleaner, natural or store-bought. There’s a chance they could seep down into your keyboard and damage delicate components waiting there (this is also a good reason to try to avoid spilling anything on your keyboard). So, stick with plain, clean water. A small bowl is all you need or a nearby faucet. Pick the Right Cleaning Instrument. Don’t use anything abrasive on your keyboard – so stay away from hard sponges and any rough “scrubbing” materials. These could rub off the letters on your keys and cause other damage, which is never cool. Instead, pick out a clean, lint-free cloth for your work. The lint-free part is important for two reasons. First, little bits of lint can get caught around your keys or maybe even trapped underneath some keys, which can cause additional problems. Second, lint is often a sign of some static charge. You really don’t want to use any cloth that can build up a static charge while you are cleaning your electronics since there’s a chance it could damage sensitive components. Get your clean cloth a little damp with water, and thoroughly wash the outside of your keyboard. Obviously, you will want to pay close attention to the keys themselves and the space between them, where most of the grime tends to gather. If you hit a spot that doesn’t come out easily, don’t switch materials: Instead, apply increased pressure until it is slowly removed. Apple keyboards are generally quite easy to clean and you should be able to get all the stains off. When you are finished, set the keyboard aside for 20 minutes or so that it can dry out, and then reconnect it to your computer! Detach all of your accessories from your Apple display (if you are cleaning this at the same time as your keyboard, that’s already done! ), and unplug anything else that may be connected. When that’s done, unplug your display from its power and from the computer itself, if possible. Leave it totally isolated. This is just a simple safety step to make sure nothing bad happens. Now comes the tricky part. Do you still have the smooth felt cloth that came with your Apple Display? That is easily the best cloth to use for this project. However, if it’s been a while since you bought your display, there’s a good chance that the cloth may have become…misplaced. If that’s the case, scrounge around in your electronics drawer and see if you have any more of these smooth cloth wipes. They tend to come with a lot of display-oriented technology, so there’s a chance you may have hoarded a few in the past for just a time like this. If there’s no luck on that front, find the softest, smoothest cloth you can. You don’t want any scratches on the Retina screen, right? Water can work when cleaning your display as long as you make sure there is no residual moisture left on the screen. However, for particularly dirty displays or a more thorough cleaning, you need to get a dedicated screen cleaner. Whatever you do, don’t use just any cleaner lying around. You should be especially careful to avoid cleaners that have acetone, ammonia, or any type of solvents. Avoid using any type of window cleaner or house cleaner. These sprays may damage your display, especially if used over time. Never spray water or cleaner directly onto your display. You can’t really control where the spray goes, and there’s a chance that some can leak into the components and cause damage there. Instead, apply any cleaners to the cloth and start wiping the screen. Start at one corner, work your way down, and continue moving up and down. A gentle, straightforward wiping motion should be sufficient to clean your display. Remember to keep a side of your cloth dry to wipe off all of the moisture when you are done.